There is (almost) nothing we do not know: our gardening advice. - Willkommen im bald schönsten Ort der Welt: In Ihrem Garten! There is (almost) nothing we do not know: our gardening advice. One garden - a thousand questions. Because: Not every weed should be picked out, not every plant needs a lot of sun, and then there is still a matter of irrigation. We will assist you with any further questions you may have in a professional manner. Would you like to create a pond? Have a nice lawn sown or even make extensive changes to your garden? 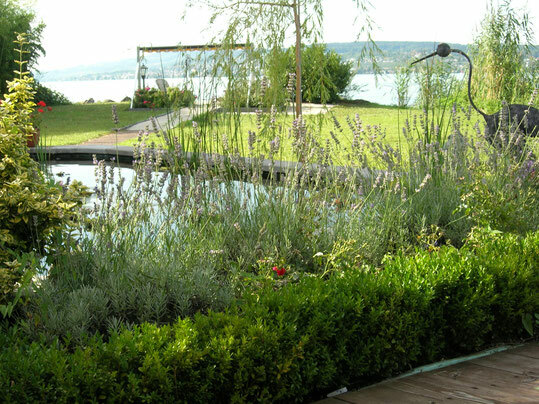 No matter how small or big your garden project is, we are there for you, together with our many years of experience. One thing is particularly important in demanding projects: the right planning. We help you to plan I advance so that from the first dig of the spade everything runs like clockwork and your garden dream also becomes a garden reality. A garden is not made with anticipation alone. Especially if a garden is designed from the ground up or has not been cultivated for many years, you should get advice from the expert - preferably with us. There are of course many valuable tips on how to get and maintain the beauty and good condition of your garden: for example, through regular professional care and other services from our experienced gardeners.